Hello, this is the plagued by real-life Yukkuri demasu. The second post in September! Also, NEED HELP from WUXIA SERIES READERS OR TRANSLATOR that familiar with bodily/qi cultivation to check the correctness of my translation in various Qi Cultivation concepts. Oh and also, I change魔獣Makemono from Magic Beast to Demon Beast. Since魔 can means Demon or Devil. After all Demon Beast sounds cooler (blame the CoC). I woke up after smelling the soup’s scent. I am alone inside the carriage. I don’t see Gai, Swyn-san, or Panama-san. Ah, but the Wind Spirit and Water Spirit are sitting near the carriage’s entrance stair. After the Wind Spirit saw that I had woken up, he beckon me to come closer. When I walk to him, I can see the outside scenery. The party are preparing lunch. They had built a open-air stove, and put the pot of soup on top of fire. The person stirring the pot is Swyn-san. He looks just likes a Witch and her bubbling pot in fairy tales. Panama-san is skewering the bread on a stick to grill it. Meanwhile, Gai is on standby at the table with a spoon in his hand. Un(Yes), really, your specialty is eating, right? However, I’m also just a 5 year old kid. The Earth Spirit is sitting down on the stove, while the Fire Spirit is looking intensely at the burning fire and happily performing a dance. Perhaps these children are the ones who built this stove. Guze-san and Blum-san come out from the tree groves, carrying dead branches in their hand. The Captain comes into the carriage’s shadow, carrying a map in his hand. I wonder if he is confirming the route that we had taken. While he was passing me by, he saw that I had awakened. So he takes me down from the carriage by carrying me in his hand. It was all thanks to the Spirits. When I was sleeping, when my body felt exhausted, the Spirits would gently pat me. I think surely they cast some sort of recovery spell on me, even if they didn’t receive any magic power from me. What a good children they are. I sit beside Gai and receive a wooden bowl and a wooden spoon. The slightly grilled hard bread will become soft after dipping it in the soup. No latter after Swyn-san said it, Gai starts devouring. Even if the bread in front of him is hard, he ate it immediately only after soaking it for a while. You could choked you know? Unlike Gai, I properly sip the soup. Which reminds me, I wonder if foods are unnecessary for the Spirits? Since they eat the Magic Power(Maryoku) that magician releases when they request to perform magic? Because they use magic for me without me requesting them to do it, should I give them my magic power as sign of thanks? But how do I do it? Asking Swyn-san is similar to hitting a hornet nest. If I use the magic in Light Novels as my references, they portrayed it as imagining it as a power(Ki/Qi) that flows inside me. Fuufuufu. I know breath control(Qiqong), you know. It’s something that I had studied. But, I just studied it for the sake of knowing it, so I don’t really understand all of it. However, even if I said I knew about it, it’s only superficially. Even so, exact knowledge is unnecessary in my case. After all Swyn-san already said, “What's Important to Magic is Imagination.” Animes, Mangas, Light Novels, I had read them all, I had plenty of imagination on my depository. Even if my knowledge is scant, it will be complemented by my imagination. Assuming that Power(Ki/Qi) is Magic Power(Maryoku), I had hunch that I need to mold it around my Small Circulation(Xiao Zhoutian) and then gather them to my right index finger. While I am savoring the bread that I eat, I slightly look down slightly and immediately conduct a trial run. Etto(Umm), first, take a deep breath. The starting point is to turn my Energy Center(Dantian) to become the Tripod Furnace(DingLü). I remembered that for a woman the Tripod Furnace is the Crimson Palace(Zhong Dantian) in the chest? But is the center of the heart in the chest really the Crimson Palace(Zhong Dantian)? I don’t really know. I don’t remember my gender in my previous life, so I don’t know which the correct method is. But I am currently a women, thus the Crimson Palace(Zhong Dantian) is my cache of Power. I imagine a ball of magic power inside of my chest, and then step by step I circulate it inside that point. Then I imagined the molded power passing through my right shoulder, then to my right arm, before gathering it in my index finger. My fingertip is shining with a Honeydew color. Suddenly Swyn-san called me and my concentration dissolved. The light vanished. It surprised me. Was I found out? I am found out, right? Is my reply sounded too shrill or nervous? ‘I'm sorry. I was just gathering Magic Power.’ I absolutely can't say that. Nice, Gai. You are useful sometimes. While I stuffing my mouth with bread and concentrating in order to present my magic power to the Spirits, I looked around for them. I shift my line of sight, near the pile of firewood there are ball-shaped objects. No, they are shivering. Are they afraid? The Fire Spirit notices that I am looking at them and speak something in hurry. But just like that time with the Wind Spirit, I can’t hear their voice. He then points his tiny hand to the direction of carriage. The carriage is stopped at a hill where the horse tranquilly eat grass after being freed from the yoke. The knights’ warhorses are also dong the same. The other spirits also joined and raised their hand to make gestures. Noticing that I had a blank look, Swyn-san once again called out to me. When I just thinking about how to deceive him, suddenly letters appeared inside my mind there. To my unintentionally leaked voice, the Spirits turn their head. Their faces to start spark. Once again, words float inside my mind. Now there are two sets of them. It’s like computer monitor displayed texts, floating one by one, they start to multiply steadily. My mind seems to be filled to full capacity and start to disturb my thought. Swyn-san put his hand on my shoulders and I regain my consciousness. I want to answer Swyn-san who's worried for me, but my mind is blanketed by warning that I can’t think anything. What spilled out from me is an incoherent muttering. I put off answering Swyn-san, I close my eyes tightly and scream. At the same time, an ear-deafening roar thunders. The horses start to whine madly. Everybody turned their heads to the direction of the carriage, and freeze up. But the Knights only stop moving for a while. In a moment they had drawn their sword and are ready for battle. It landed straight on the top of the hill. In the middle of the carriage wreckage although a little dirtied, its black scale gave off a luster, a Demon Beast(Makemono) that surpassed 5 meters and licked up its lips. All players, you can begin to do your Sanity roll (0/1d6) now. Also, Mira can perform Magic Cultivation technique now (笑). 小周天, XiaoZhoutian or Shoushuuten. Also known as Small Universe, Microcosmic Orbit. Refer to circulating energy inside of body through several vessels. THANK GOD, I HAD READ THAT CHINESE WUXIA SERIES WHERE THE MC DO IMMORTAL CULTIVATING AND HARASSED BY WOMEN. Just like Wuxia series where they do Qi/Chi (or whatever they are called in the series) Practise. 丹田, read about Dantian or Tanden at Wikipedia. 中丹田, or Crimson Palace, the middle Dantian that is located near the heart. 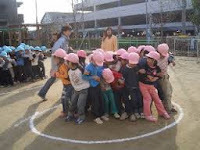 A children game, where you gathered on a circle and pushes the other with your each other back until someone goes outside the circle. See the picture below to imagine it. Like spamming (or 4chan board), but inside your mind. In Call of Cthulhu term: Mira failed her Sanity roll after contacted by the Spirits, so her sanity decreased by more than 5 Sanity, so she is now Temporary Insane and had Insanity Bout. This is so Lovecraftian. Thanks for the chapter part! There's no picture link for footnote 8. So they camp near Mt. Tai? ‘I am sorry. I just gathering the Magic Power.’ I absolutely can said it. 「Do you still sleepy?」 "Do you still feel sleepy?/Are you still sleepy?"